Learn the Constitution re: vested powers of POTUS re: matters of NAT SEC. Did you know @POTUS @realDonaldTrump as per his Executive Order declaring a National Emergency on 12/21/2017 currently has the authority to do the following, pursuant to our Constitution regarding Powers of the President in matters of National Security? Lawsuit filed to demand reason for raid given @cain_nate 's protected Whistleblower Status publicly reveals investigation into Clinton Foundation, his evidence is already secured at FBI under new leadership; makes whistleblower safer and maintains integrity of evidence for court. The WAY that information and evidence is introduced into the legal record and the public record MATTERS. This is going to be a long process, but as Q said before, we'll make it through this together, step by step. 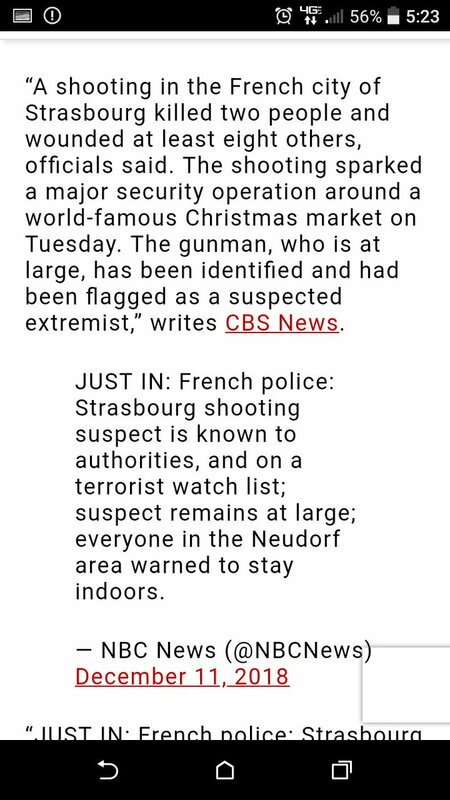 Every small revelation to public/legal record = puzzle piece. 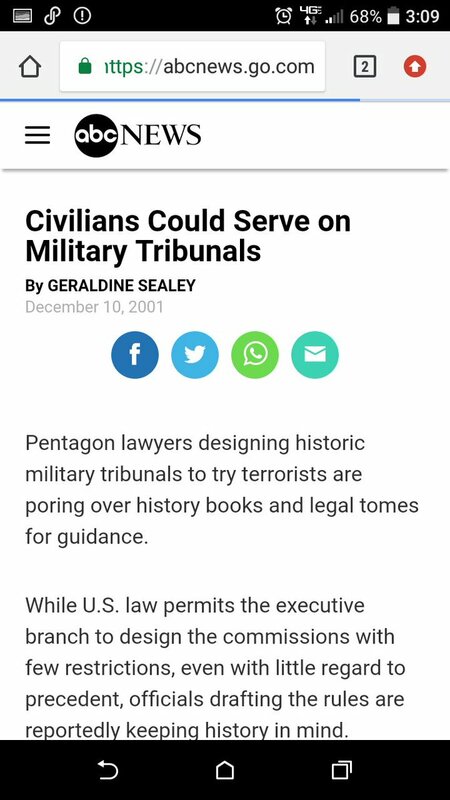 @POTUS "Think Graham KAV exchange"
GITMO, Law of Armed Conflict, #EnemyCombatants do not have Constitutional rights, they do not have the right to see an attorney, they can be held indefinitely without charge or trial, they can be tried by Military Tribunal and executed. Any questions? #EnemyCombatants: "We's gon' 'mpeach'im we is, we is. We swears @realDonaldTrump's in a whole lotta trouble. Subpoena! IMPEACH!" What are the odds of that?" What are the odds that 2/3 of the Senate will vote to impeach THIS sitting @POTUS @realDonaldTrump? Precisely & exactly ZERO. Not going to happen. Not within the realm of possibility. Fiction. Fantasy, #FakeNews. #HiviteTactics being spewed by #EnemyCombatants. #MindControl. In the @LindseyGrahamSC & KAV exchange (see link above, 30 min begins @ 2:12:00), KAV referenced "To Kill a MOCKINGBIRD" at least 3 times. 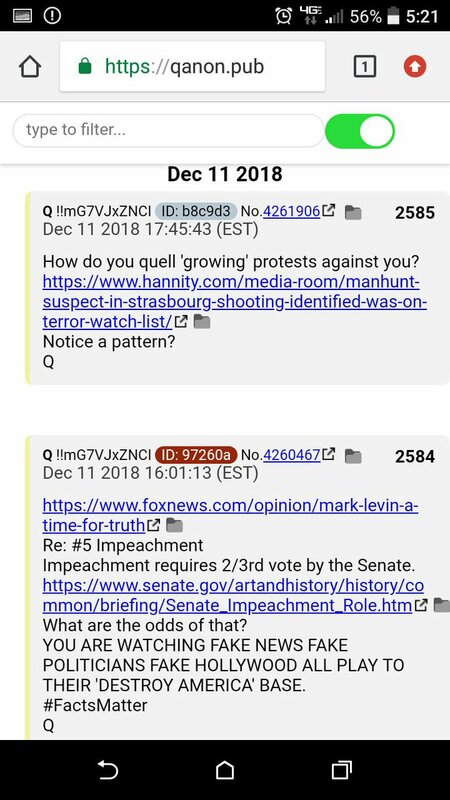 DO IT Q!!!!!! We're ready for the next installment of this trilogy. Ah, the "Spotlight of Safety"
"NAMES OF WHISTLEBLOWERS BEING LEAKED OR PUT OUT FOR STRATEGIC REASONS? How do you protect a valuable witness (whistleblower)?" The "Spotlight of Safety" is something @Cronsell & I understand well. It was part of our motivation to #SayBraveThings. A wall planned using the @USArmy Corps of Engineers. Their logo? 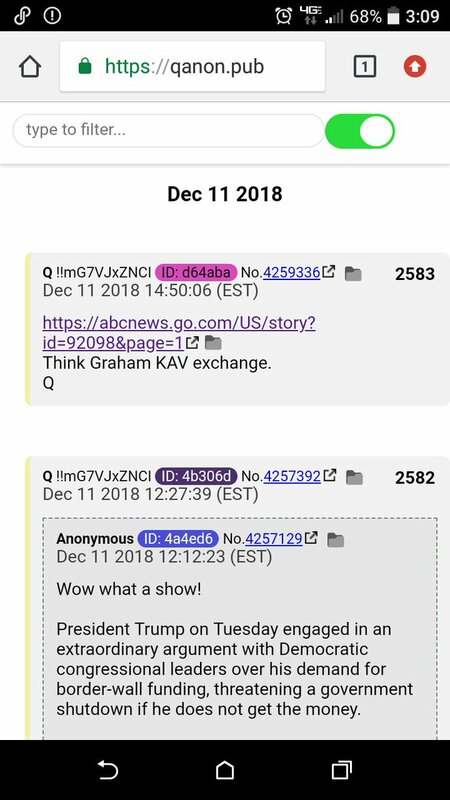 #Q posted #RED_CASTLE 1 hour before @POTUS went on TV. 2) By having the #military build the wall, there is no need for #SwampCreature subcontractors and #kickbackRats, so who cares if the full wall is not funded? @POTUS may have just checkmated the #Democrats. 3) @POTUS's favorite wall sample was from a small company that could not do it on it's own. How could a little company would be able to fulfill such a contract? It doesn't have to. It will receive compensation for the design concept. 1. 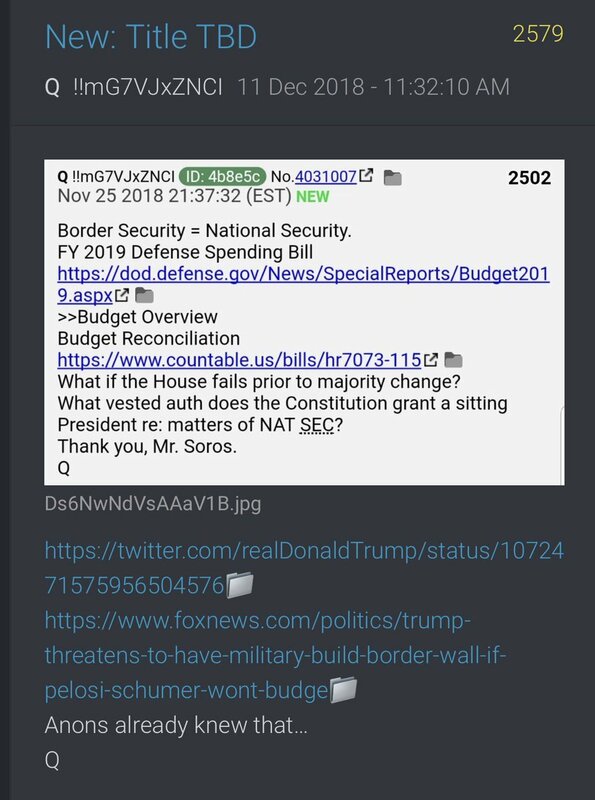 Do you know why the Omnibus is not going to get any notice…Here it is..
2.Per the Constitution…the President must adhere to a Budget set forth by Congress and direct the expenditures as provided therein.This is another one of those big Porkulus Bills, like they gave Obama for 8 years. 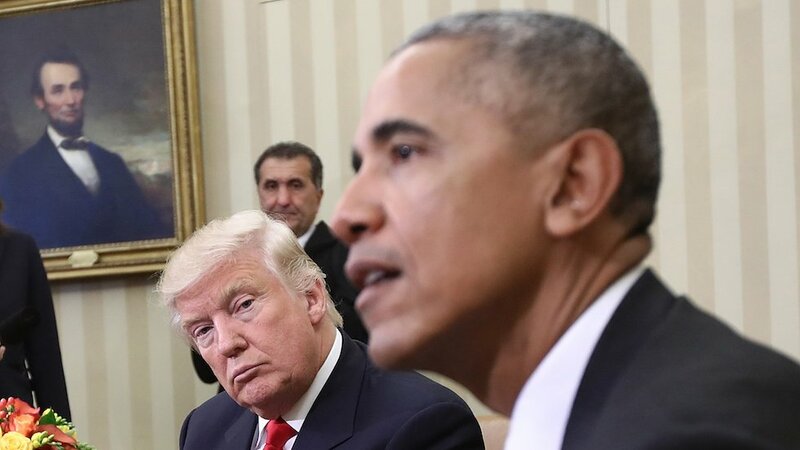 This is not a Budget..
3.An Omnibus Spending Bill may have some ‘instructions’ as to how the money will be spent…but Obama ignored them.